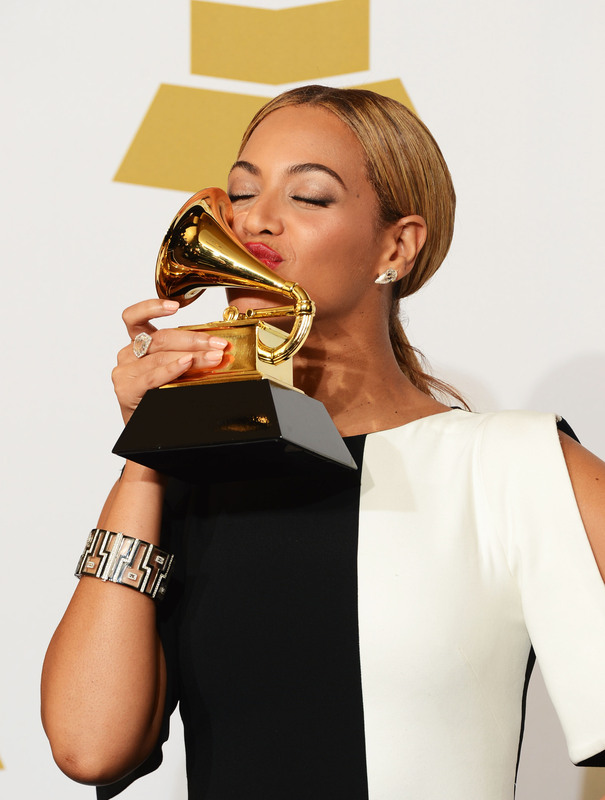 If it seems like Beyoncé is breaking new records every day, that's because she pretty much is – bow down to Queen Bey. Yesterday, the Grammy Award nominations were announced, and though a diverse set of artists did all receive recognition for their amazing work this year, one name rang consistent through a few categories: Beyoncé. One by one, Beyoncé's nominations started to roll in, and, once again, she reached new heights: Scoring 6 nominations this year, Beyoncé is now the most Grammy-nominated female artist of all time, with a whopping total of 52 Grammy nominations throughout her career. This hugely impressive number includes her collaborative efforts with other artists, as well her career as a member of the group Destiny's Child. Of course, Bey isn't the only female artist in the industry who's racked up the Grammy noms over the course of her career: In fact, before this year's Grammy nominations, she was tied with Dolly Parton for 46 total nominations. Dolly Parton has received seven Grammy awards throughout her storied career, including a Grammy for Lifetime Achievement in 2011. Aside from the awards she has received, she has been nominated 46 times overall. She received her first Grammy nomination in 1969, and, in 1982, she won two awards for her iconic song "9 to 5." Allison Krauss is not too far behind Beyoncé and Dolly Parton with 41 Grammy Award nominations, but, she also holds a huge top honor herself: Krauss actually has the most Grammy wins out of any female artist, with a total of 27 wins over the course of her career. Wow. The only other female artist to come close to this number is Aretha Franklin, who comes in second place with 18 Grammy Awards. So, what Grammy categories has Krauss won? A lot, to say the least, including as a solo artist, a record producer, as a member of the group Union Station, and a duet she did with Robert Plant. Krauss even took home the coveted award for Album of the Year in 2008 with Raising Sand. Of course Barbra Streisand is on this list — the legendary singer has been nominated for almost every entertainment awards show. She ties with Allison Krauss in terms of Grammy nominations, nabbing a total of 41 noms throughout her career. Of the 41, Streisand has won 8 Grammy Awards total. Streisand was even nominated this year for the Best Traditional Pop Vocal Album for Partners.